Our engineers of tomorrow are the kids that love to create and build on the living room rug today. If your little builder is anything like mine he really loves building things that have purpose and movement. Mechanical Engineering is his passion. So when we had the chance to try Creation Crate Jr. my little builder was so excited! 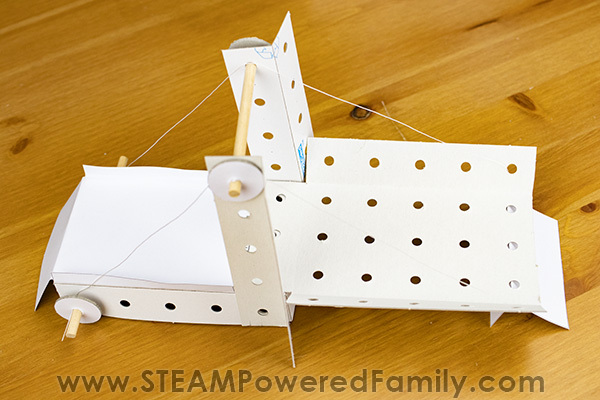 These engineering projects for elementary aged kids teach not only building skills but also explore physics for a fantastic STEM education. 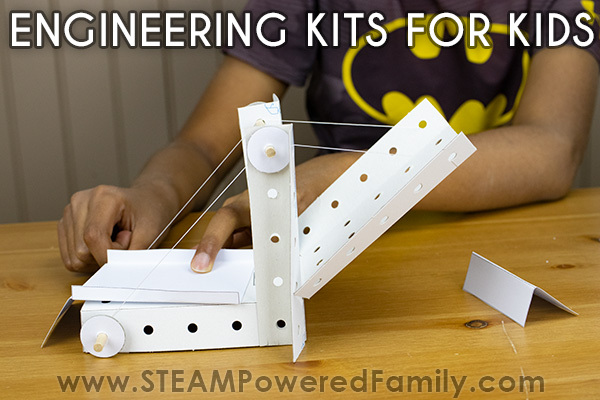 STEAM Powered Family received these Creation Crate Jr. kits in exchange for our honest thoughts and opinions. 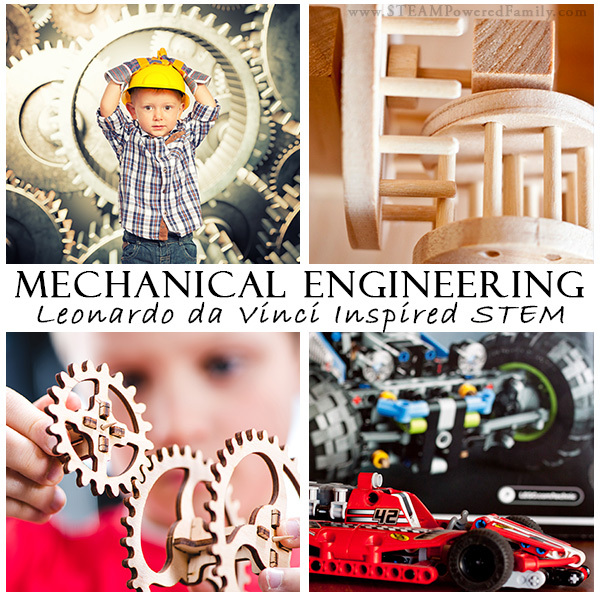 We only review and share products that truly excel in STEM and education.Creation Crate has done it again with this subscription box series. Which is why we are excited to share it with you today! 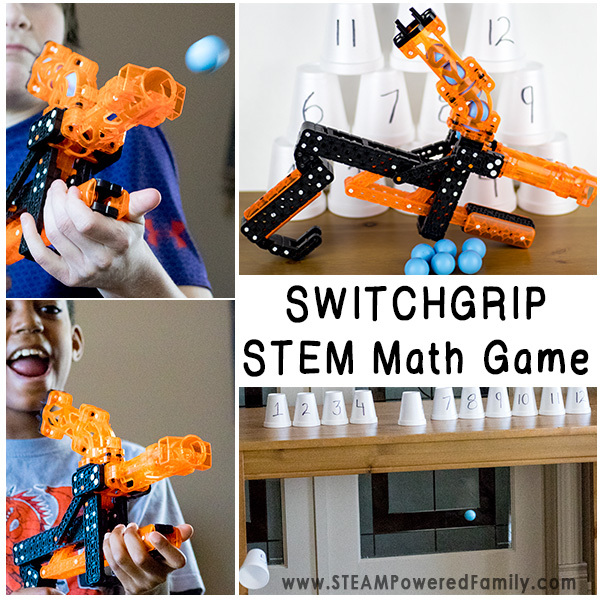 We are all about STEM and STEAM education around here. I love the way it inspires my kids and makes them passionate learners. Even though we do this all the time, I admit, sometimes I just want to open a box and have a project all laid out for me. I find some of these subscription box programs fantastic for providing some serious educational content and projects that are truly outstanding. One of our absolute favourite boxes has been Creation Crate. 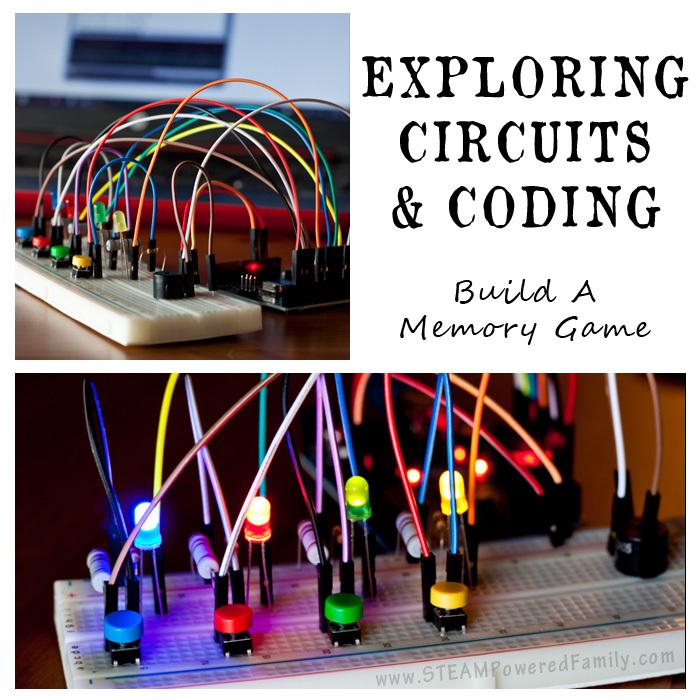 Their original box program provided my oldest with some wonderful circuit building and coding experience. My youngest, however is a different kid, with different interests. This is the kid who stopped me as we were at the gas station one day, pointed up, and said, “I would love to do that one day!” What was he pointing at? Workers who were refacing the entire store front with new signage, siding, etc. These workers were dirty, dusty, working in windy cold weather. And my son was awestruck. The funny part? He has zero interest in Lego. Like none. I have SO MUCH LEGO! But to him Lego just doesn’t hold his interest. He wants something different. 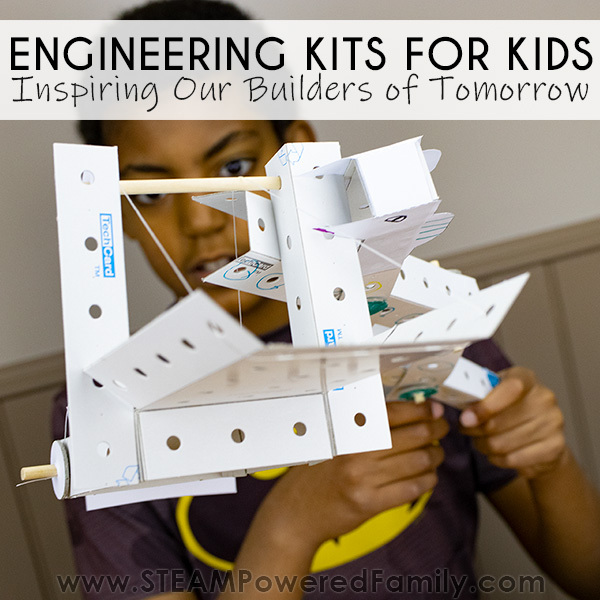 So when Creation Crate came out with a new program called Creation Crate Jr. that partnered with Tech Cards to bring engineering and building projects to elementary aged kids, I knew this was the perfect project for my son. For reference, Creation Crate Jr. is designed for kids 8 years old and up. My son is 10 years old, but does struggle with some learning delays. He absolutely loved these builds! The challenge level was perfect. 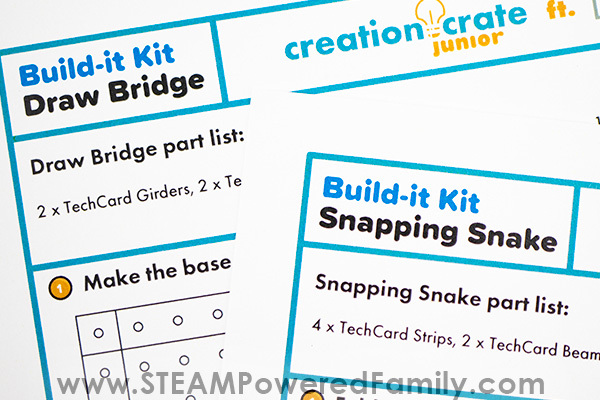 We had two different build projects from Creation Crate Jr. A snapping snake and a draw bridge. When I opened the packages it included everything we needed, even an explanation of the physics behind the movements and force being created in our builds, and how structure shapes impact strength of the structure. I really appreciated these notes as it helped me explain things to my son and answer his questions knowledgeably. It also changed a simple building project into one of discovery, learning and inspiring curiosity. 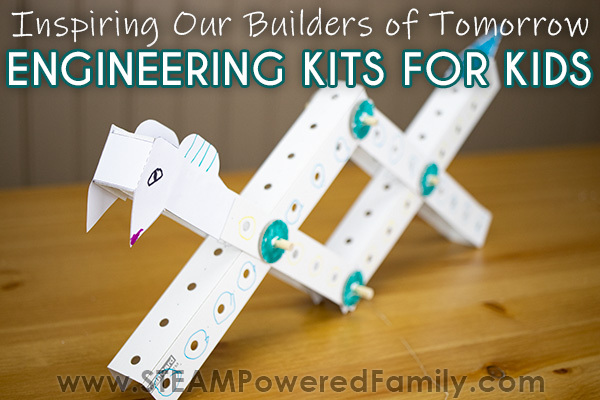 With these kits we learned math and measurements, physics and forces, plus engineering and construction. Overall a wonderful STEM education project. We built the Snapping Snake first. My son loved the simple instructions and quickly set about being the foreman on this construction project. We worked together, with me helping as he took the lead. In a matter of 20 minutes we had our snake built! Normally my son is not one for colouring or decorating, but he decided his snake needed a few extra highlights. Then it was time for some snapping! Next we built the draw bridge project. Once again my son took the lead, even more confident now he had one project under his belt. The instructions were very easy to follow, requiring only minimal prompting from me. The only part he struggled with was fitting the axles together. It required some serious finger strength. So my foreman assigned that duty to me! Very soon we had our draw bridge functioning! I love how excited my son got when he was building these projects. There are many more in the series that look just as fun and educational. The best part is the simplicity of these kits. They teach so much, without complication, frustration or confusion. Best of all, my young builder loves playing with his new creations that are incredibly sturdy. 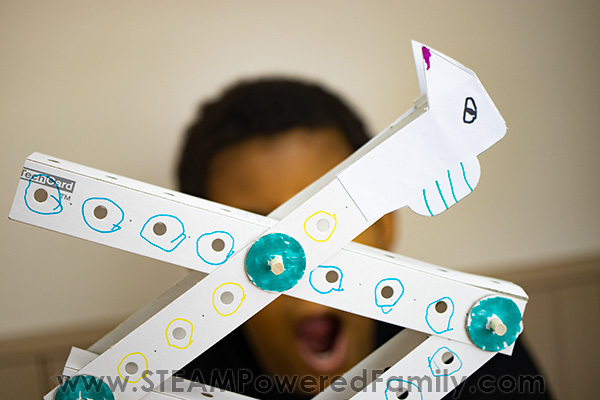 He had so much fun making his snake attack the draw bridge and pick it up! 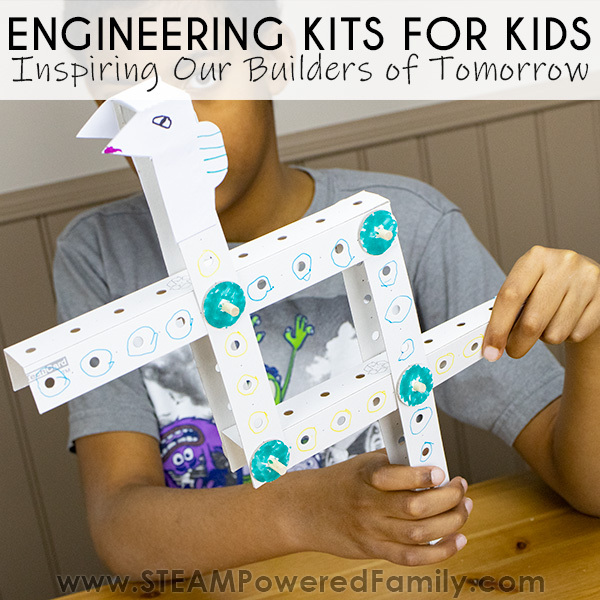 If you are looking for a fun STEM subscription box for your young engineer, builder or physicist, check out Creation Crate Jr. Your kid is going to love it! I know mine is looking forward to building even more in the future. WHO SHOULD USE CREATION CRATE JR.? 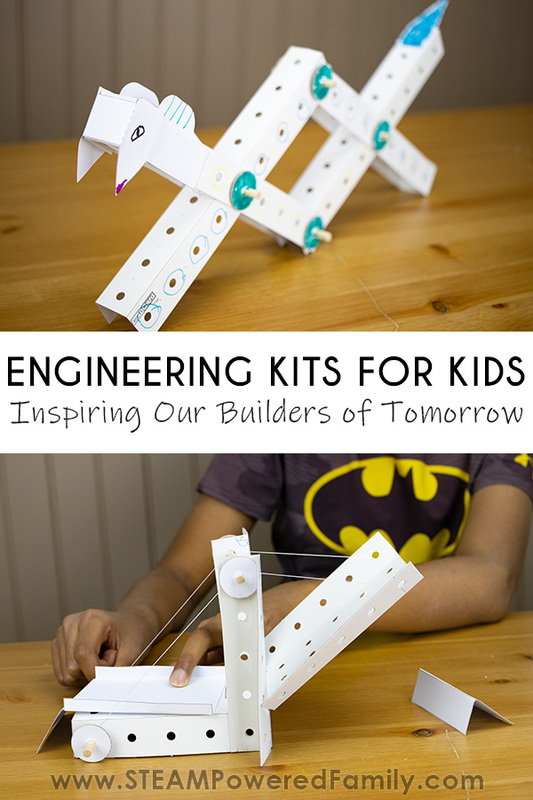 I highly recommend these kits for parents to do with their kids, but they would also be fantastic as part of a classroom project or after school STEM program. The easy to follow instructions make them a great project that most kids will be able to accomplish with minimal assistance. And kids will love taking home their creations to show off what they learned! 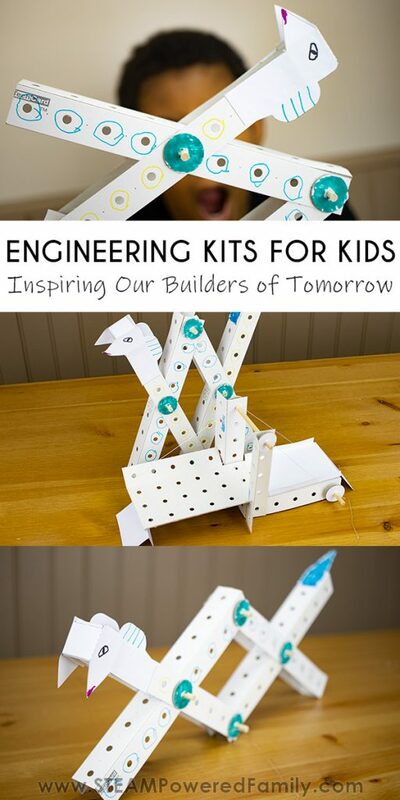 So Creation Crate Jr. is fantastic for your kid that loves to build creations and is interested in mechanical engineering. But what about your kids that have other interests? 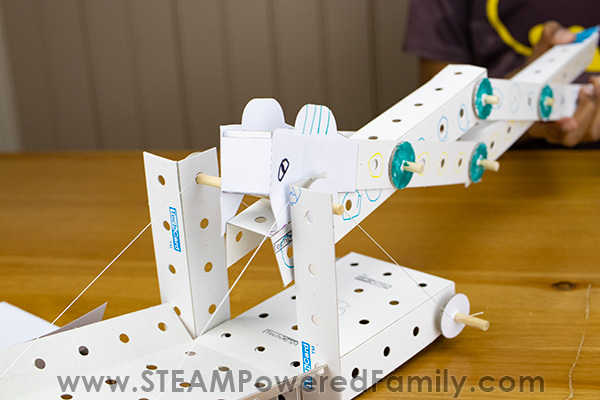 For your coding and circuit loving teens, check out the original Creation Crate program. It is a phenomenal educational subscription box service that we love! 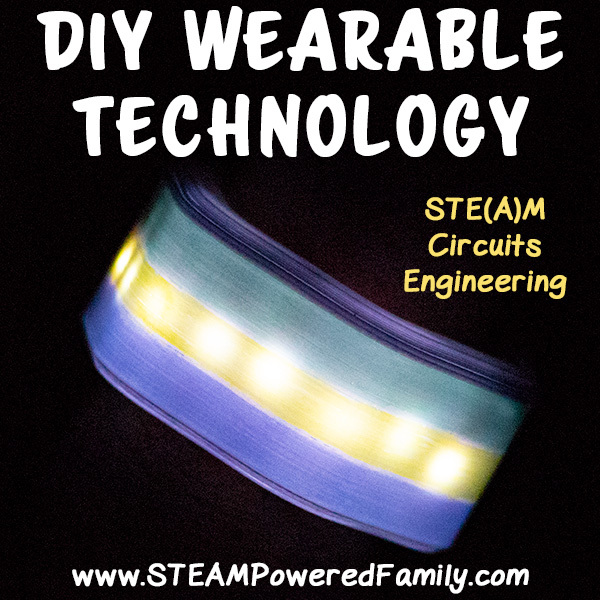 They also have Girls that Make for those that are interested in Wearable Tech. We made the cuff from their program and really enjoyed it. Creation Crate is by far one of the best educational STEM subscription boxes we have tried out. Definitely check it out!